Excerpt from my new book Leadership is NOT a Wardrobe Issue. Exploring life lessons on horsemanship and how those learnings apply through the leadership programs of The Natural Leader. A fifteen-year veteran of the experiential equine learning industry Nancy has delivered hundreds of programs to thousands of individuals. A third generation rancher it would be hard to find words to better introduce John. Along with running a The Scott Ranch and a number of locations for movies John has been a part of over 130 projects, including 4 Oscar winning movies. in his near 40 years in the industry John has been a stunt co-ordinator and performer, head wrangler, animal wrangler, location scout, and transportation coordinate, in 2017 Scott was nominated for the Calgary Stampede Western Legacy Award. I doubt there are many cowboys who have dealt with as many people as John, so I asked him how his experience with horses has helped him through the years. “Never do anything that will embarrass your mother.” John Scott Grows Alberta by PattonCommunications. JS – I think what my horses have taught me about leadership is to have patience and to assess the situation. See if the horse is comfortable with the situation what he is doing, he’ll tell you, his eyes, his ears. Just to be more observant about what is going on around you. Well the same goes for working with people, if you are more observant working with people and what they are doing, it helps you avoid accidents. Some people need more patience than others. 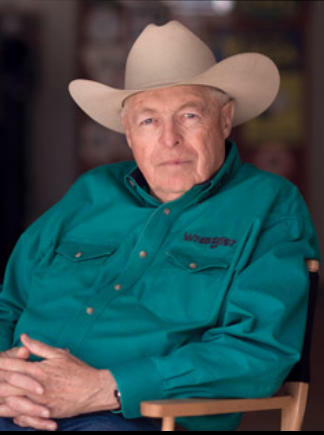 TNL – Over the years in ranch life and in the movie industry: What do you believe is the most important thing the people you have worked with become aware of through working with horses? JS – Communication – it’s one word communication – it’s how you communicate with the horse. If you come on rough and gruff right off the bat, he’s gonna get scared of you then the horse will back away from ya, if you approach in a more gentle manner then he’s going to be a little bit more inquisitive about what you want to do and try a little bit harder. And people seem to get it. JS – If you are working with a group of people once they come to understand what you are trying to do, and accomplish they might be a bit more forth coming and bit more helpful. Like once the horse gets to know you they’ll be fine, same with a person, once they get to know you they’ll have confidence that you are not going to hurt them. TNL – You began with the word patience – have you found your patience has improved over the years with horses and people. JS – It’s definitely improved with horses – some people are a little slower to catch on. Be interesting in what they do. Same with a horse you try and pay attention and figure out what interests them. You try and read a horse you try to figure it out. One example we had a horse that we had trouble bridling. He was worried about being beat around the head and very head shy. It took us about four months for get him to over it and he had confidence in us and we were able to bridle him easily. TNL – If there is one thing a horse could teach another human being in their interactions with other humans. JS – Well it’s different aspects depending on what you do. Take for example Therapeutic riding they provide an outlet to experience something different. Cutting horse will give the rider quite a bit of acceleration and the rider has to plan what he wants to do and the horse has to know what he is supposed to do and they have to work together. On a bucking horse, the rider has to know what the horse’s pattern is and whether he comes out of the chute to the left or the ride, whether or he drops his shoulder. You have to be able to assess the situation of what you want to do and what your are going to be doing. TNL – Do you believe you assess the situation the same going into a meeting? Available NOW – Leadership is NOT a Wardrobe Issue. Considering starting a business with horses or have been building a business over the years and need some inspiration? This will be an indispensable reference tool. Nancy has put her 15 years of experience with The Natural Leader into more than 100 pages of information, tips, and wisdom. Leadership is NOT a Wardrobe Issue covers 3 areas – The Business of offering Leadership with Horses and how horsemanship has influenced the work of The Natural Leader; Activities to Consider with contributions from partners in Australia and Luxembourg who also focus on Leadership work. Lesson plans on delivery, coaching and the lessons learned along the way; Coachable Moments – pulled from horsemanship learnings. This section applies to those one-on-one conversations. Coachable Moments draws from the experience Nancy has gained starting horses over the years connecting the two through questions. Leadership is NOT a Wardrobe Issue is Offered in three options – pick the package that best suits where you want to get to. The coaching sessions will follow your agenda, Nancy will provide any additional supporting materials she believes will help you get to the next step. 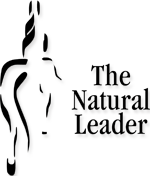 Digital Download of The Natural Leaders latest ebook "Leadership is Not a Wardrobe Issue"
Leadership is NOT a Wardrobe Issue? Why Does it take a Lifetime to Learn? • What is the one thing you want participants to walk away with? • What is a better Question? • How can this book help you? Whether you are doing one-on-one work or working with an individual within a group. Sometimes you need to pull out a specific concept or idea that will resonate for that individual. How to build your business to success – define what you want to do and how to get where you wish to be. prices are in Canadian dollars; Canadian clients GST will apply. The week before the 2018 Calgary Stampede, Past President and Chairman of the Stampede Board of Directors, Bob Thompson took time out of his busy schedule to speak with me. You could say that Bob had the dubious honor of holding that role in what might go down as the toughest year in Stampede history. That was 2013, the year the Bow and Elbow Rivers flooded downtown Calgary and the entire grounds fourteen days before the Stampede was set to open. 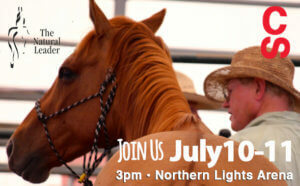 Join us July 10 & 11th at the 2018 Calgary Stampede for a hands-on #LeadershipThruHorsemanship experience with The Natural Leader herd – Northern Lights Arena 3 pm! Horses are sanctuary for the President of Arnett & Burgess Pipeliners.